Cost of Living in Vietnam: How Much Does it Cost to Live in Hanoi? See, as someone who’s grown up using the Internet, I have pretty much zero barriers when it comes to personal privacy. And as someone who’s fairly budget-conscious, I diligently track every single thing I spend money on in Vietnam, down to the 5k VND I spend to fill up my motorbike tires. So, to help you get a grasp on just how much it costs to live in Vietnam, I’m going to share real data on my monthly expenses. 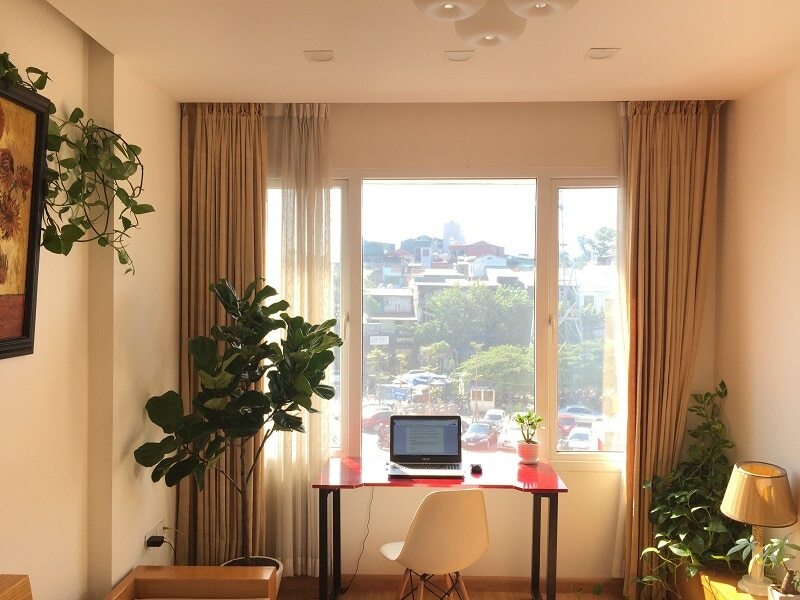 I’ll share, down to the penny, exactly how much it costs to live what I think is a very comfortable life as an expat in Vietnam. I track all of these daily on a smartphone app, so it’s pretty dang accurate and broken down into different categories. For reference, I’m an expat living in Hanoi, Vietnam. Prices in Ho Chi Minh City or Danang might differ a little bit, but the general trends should hold true. If anything, those places might be a little bit cheaper than Hanoi. I know food in Saigon always felt cheaper to me, though I’ve never lived there long term. Also, I’m from the States, so most references will be the cost of living in Vietnam compared to US. But you should be able to figure out the exact comparison for your situation. If you just want to skip straight to the tables detailing my exact spending, click the button below. Otherwise, I’ll also break down each spending area in detail before I get into my personal spending data. What Currency Does Vietnam Use and What’s the Exchange Rate? Before I jump into the cost of living in Vietnam, I should probably talk about the currency. Vietnamese uses the Dong (!). Its notes range from 200 VND (rare at this point, but I’ve seen them) to 500,000 VND (gets you yelled at by street sellers!). Right now, the exchange rate is roughly 22,000 (yes, twenty-two thousand) Dong (VND) for $1 USD. So the first time you hit an ATM in Vietnam, you’re a millionaire! Two million VND is less than $100 USD. All that to say, when I say something like “My apartment costs 7.5 million”, you shouldn’t be alarmed. I ain’t ballin’ that much. 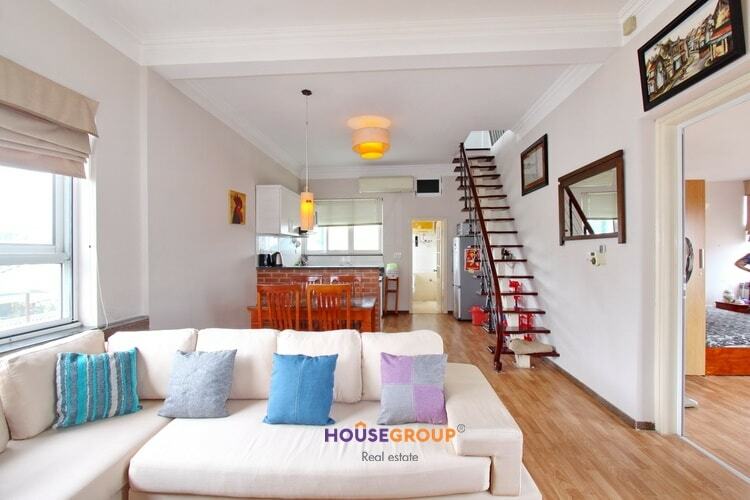 How Much Does An Apartment Cost in Hanoi, Vietnam? I’ve lived in two different apartments in Hanoi. You can see what my old, cheaper apartment looks like below. I love my apartment. 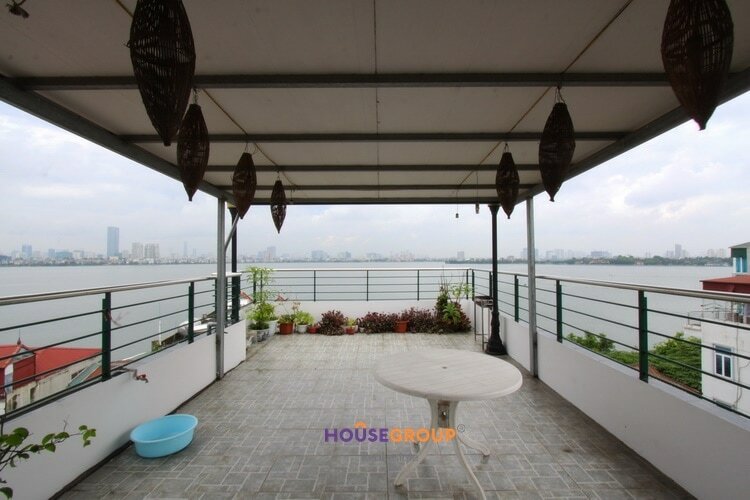 It has a massive terrace with a full view of West Lake. And it also has a separate room for my office, which makes it somewhere between a 1BR and a 2BR. UPDATE – I MOVED. Everything under here applies to my old apartment. I’ve lived in the same apartment in Hanoi for the past 2 years. I absolutely love it. It’s the perfect bachelor pad. It’s somewhere between a studio and a one bedroom apartment and it’s got everything I need. Kitchen, shower with rainfall showerhead, western styling…the works. For my apartment, I pay…7.5 million dong. That’s about $330 USD at the time of writing this article. Not bad at all considering I paid $600 for a shared room in Philadelphia. Not the largest space (it’s about 45 square meters), but a perfectly functional bachelor pad. I like it. It’s in the old quarter and easy to get around to most of the areas I like hanging out in. You can certainly find cheaper accommodation if you’re willing to live with roommates. I know people who spend as little as $150 per month for a room in a share house. You can also certainly find more expensive properties. I’ve thought about moving into a nice 2-bedroom. That would still only cost $500-600 per month. 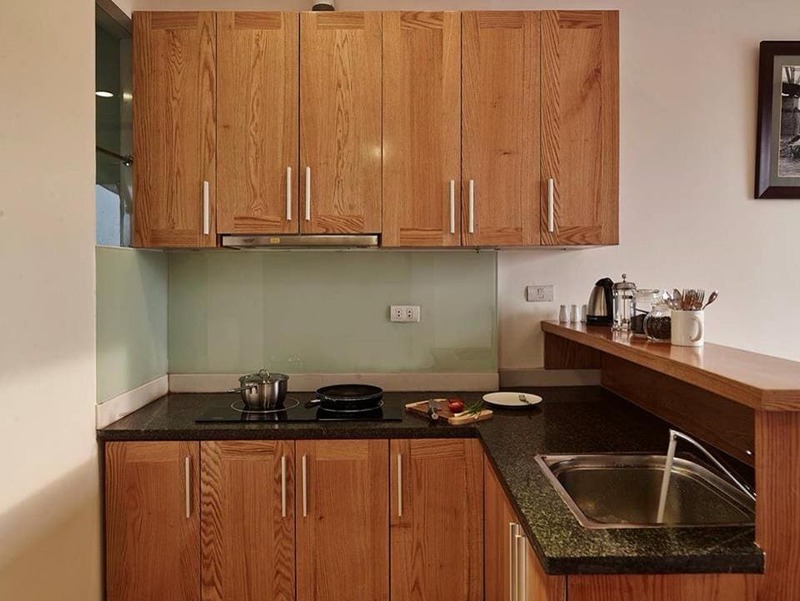 And if you want it, there are luxury apartments that can certainly run much more. 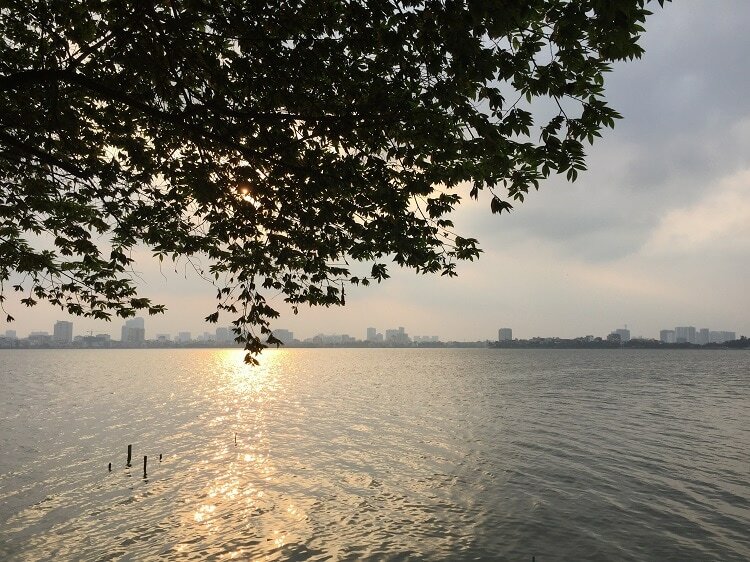 Especially if you want a beautiful view of West Lake (Tay Ho). Those go from $800 into the thousands. How Much Does a Motorbike (Scooter) Cost in Vietnam? It got annoying. I wanted a bike I could trust to take on long trips. So I switched to a brand new Honda bike in 2017. I bought a 2016 Honda Future for ~30 million VND, or about $1,300 USD. Now, you certainly don’t need to buy a brand new motorbike. But if you live here a long time, you will grow to appreciate the reliability. Whatever you do – never rent. Unless you’re only planning to be here for a month, it almost always makes sense to buy and sell your bike. Gas prices are fairly inconsequential here. To fill up my tank, I usually spend ~60k VND. That’s less than $3 USD! I don’t drive that much because I work from home so I typically only need to fill up 2-3 times a month. For a normal month, I spend less than $10 USD on gas. How Much Does Food Cost in Vietnam? If you’re willing to eat street food, food in Vietnam is crazyyyy cheap. Pho at my favorite street spot is 35k VND and delicious (about $1.50 USD). Other filling street food dishes usually range from 30k-50k each ($1.50-$2.50). Vietnamese sit-down restaurants can be a little pricier. Maybe more like 50k-100k ($2.50-$4.50) for each dish. Something like hot pot (delicious!) 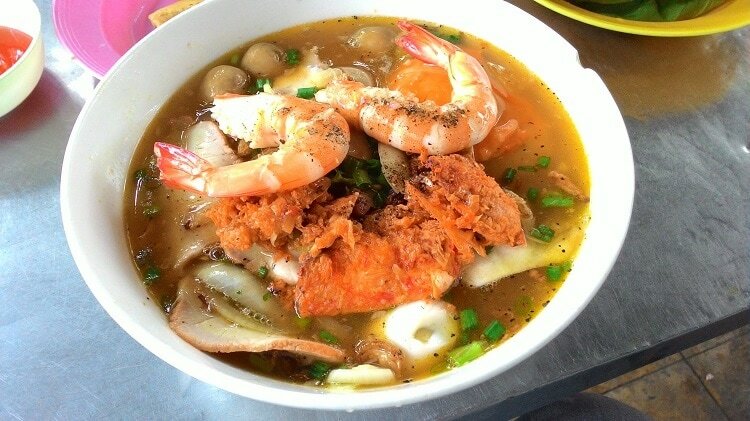 is typically 100-125k ($4.50-$5.50) per person and will leave you completely stuffed to the gills with delicious food. So if you go out for a Western meal and have a few drinks with your food, you’ll probably spend like $10-$13. Definitely not as cheap as eating Vietnamese food, but also far from breaking the bank. There are meal delivery services which are super duper cheap. Because I hate cooking (and like taking advantage of cost of living arbitrage), I use them for all of my meals at home. I pay 45k VND ($2) per meal for a healthy meal of chicken, vegetables, and brown rice. It’s kept me healthy and gives me more free time by eliminating the need to cook. It’s one of my favorite parts about living in Vietnam. How Much Does a Beer Cost in Vietnam? Ahhh, the important question. I should’ve put this first. If you’re willing to drink like the locals, beer is crazy cheap in Vietnam. You can get bia hoi (watered down draft beer) for as little as 5k VND. That’s less than 25 cents. If you want a bottle of basic Vietnamese beer, you’ll typically pay between 15-25k VND (75 cents – $1.25) depending on your location. Classier bars might run more expensive. E.g. a popular club in Hanoi charges 60k VND for a Tiger beer. Craft beer isn’t popular in Vietnam, but it does exist. And some of it is actually pretty tasty. If you want craft beer in Vietnam, you’ll need to pay, though. Craft beer typically runs about 95k, which is a little under $5. So not nearly as cheap. But sometimes you want something that’s not a lightweight lager! How Much Does Coffee Cost In Vietnam? While you can find dirty cheap coffee for 10-15k a cup, you’re better off spending a bit more for the better stuff. Even the good coffee is cheap at ~25-30k per cup. How Much Does Cell Phone Service Cost in Vietnam? Data plans for your cell phone are stupid cheap in Vietnam. Seriously. I pay 70k VND, or $3.50 USD, per month for unlimited data. It’s insane. I get 600 MB fast data and then the rest is speed-throttled, but that doesn’t really bother me. I use Facebook voice chat instead of phone calls (that’s very common here), so that $3.50 is pretty much my only monthly expense for cell phone service. Other Miscellaneous Expenses in Vietnam. How Much Do Gyms in Vietnam Cost? Gym prices are super variable in Vietnam. Local, barebons gyms are cheap. But don’t expect luxury. I pay 300k VND per month ($13) for my gym (Update: My gym has since lowered its price to 250k VND – I’m not sure why). It’s basic, but it has everything that I need. I can do squats and deadlifts so I’m happy. On the other hand, luxury gyms like Elite Fitness and California Fitness run close to $100 per month. They’re super nice – I did a trial at Elite Fitness and thoroughly enjoyed a few days of luxury. But it was double what I paid for a gym back in America. So, if you can handle basic, gyms are cheap. If you want luxury, be prepared to pay. I also spend a decent bit on whey protein every month. Whey protein is widely available in major cities in Vietnam, but at a significant markup to what you’d pay in Western countries. I pay ~$100 for 5KG (11 pound) bag of MyProtein Impact Whey. How Much Does Health Insurance Cost in Vietnam? If you’re living in Vietnam, you absolutely need health insurance. Don’t be a dummy. Thankfully, it’s much cheaper than back home in America (no comments about universal healthcare, please). I pay about $500 per year for a policy through a Vietnamese insurance company (Bao Viet). Cost of Living in Vietnam: What Do I Spend? For everything else, I try to spend under 20 million VND per month. That’s about $880 USD. I moved to a more expensive apartment. Now, my monthly budget is 25 million VND, which comes out to about $1,100 USD. I’m not super strict with my budget, though. For example, I’ll never say no to a night out with friends because it costs too much. October 2017 was my first full month in my new apartment. Because the rent is a good bit higher (and I also need to use more aircon because of all the sunny lake view windows), my expenses went up a good bit. My new goal is to stick under $1,100 per month. In May, my girlfriend moved in with me so she chipped in for the rent a bit. I also bought a 5kg bag of whey, which pretty much offset what she chipped in. Other than that, it was a fairly normal spending month for me. April was, again, a fairly standard month. I guess I wasn’t feeling drinking very much this month because I didn’t spend a single cent at bars! Though that might be a little misleading because I usually count Bia Hoi as eating out instead of bars unless I exclusively drink beer. March was a pretty standard month for me. I worked a lot, so my outside time was limited. I ended up coming in well-under budget despite not really trying to cut any spending. February 2017 expenses were a little higher than normal because I bought a new 5KG bag of whey. That alone accounted for 2.3 million VND, or about $100. Otherwise, February was a fairly typical spending month for me. Have any questions about the cost of living in Vietnam? Leave a comment and I’ll try to help out. 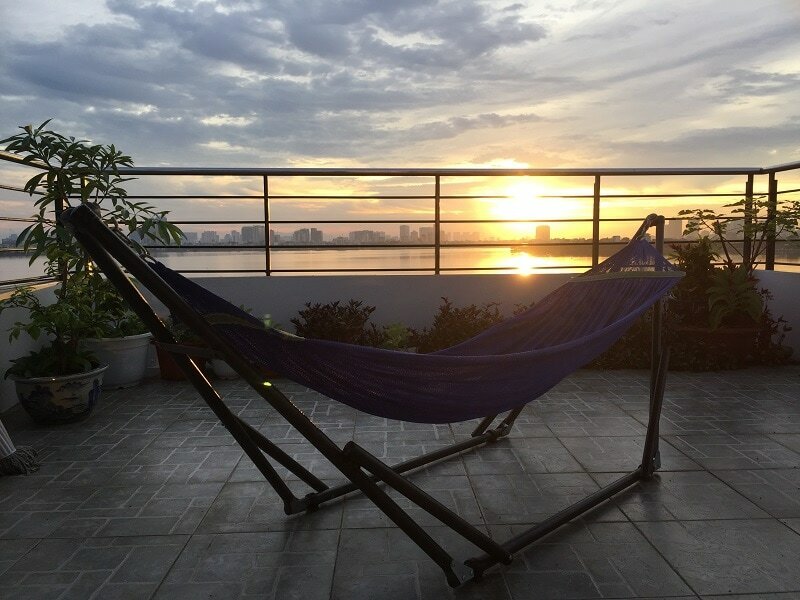 At the time of writing this post, I’ve been living in Hanoi, Vietnam for over two years. So I think I have a pretty good grasp on pricing. Thank you so much Colin. I am moving to Sapa on Tuesday to teach 12th grade English and this article was ectremely helpful and excellent. I am from Long Island. Go Eagles!!! I’m not a Giants fan and think Terrel Owens was the worst mistake the Eagles ever made. Ha. I’m Dylan Joe Northrop on facebook if you ever want to grab a beer in Hanoi. Glad it helped, Dylan! Sapa is beautiful. I would love to live there for a bit if the Internet weren’t so unreliable there. Still, it’s not too bad a trip from Hanoi. I’m actually a Cowboys fan despite living in Philly 😉 Old habit. I’m easy to find on Facebook whenever you find yourself in Hanoi. Hi, I am going to move to Hanoi with my daughter and husband. Wondering where you live? I am looking for a good area and cheap rental. Thanks. I live in the old quarter (well, right next to it). But plenty of people live in Tay Ho for a bit more relaxing vibe. What a comprehensive explanation? You did a good job here, I will be coming around December and will like to connect with you. Colin, nice blog and this is a good article here. I lived in Japan from 2007 to 2011. I was 26 when I arrived. Great experience. I have a popular blog about teaching English abroad and I need more stuff about Vietnam. How about writing an article for JimmyESL about living in Vietnam and republishing one of your articles on there. This will greatly help the SEO and traffic of your blog since my blog has a much high page authority score. Hello thank you so much for your information, I am going to Vietnam and i wanna know the prices of the shopping there, clothes? If you’re cool with knockoffs it’s pretty dang cheap. Like 200k for good knockoff shirts/shorts. If you stick to Made in Vietnam like Viet Brothers and M2 the quality is pretty good, too. Awesome post…have you lived anywhere else in Vietnam…do you konw about Internet in Nha Trang? I need super reliable and fast internet for online video calls continuously…I really need to live near a beach…but for cheap…any other ideas? If you need reliable internet and a beach then Da Nang is probably your best bet. It’s my favorite city in Vietnam. Thanks for this great info! Quick question, would moving here with two dogs be doable, affordable and most importantly would they like it ;-)? Affordable? Not sure about that – but probably. Would they like it? Probably not as much wherever you’re coming from tbh. But plenty of people have dogs here and they do fine, though dog thieves are a legitimate concern. I’m thinking about quitting the corporate life and traveling for a bit. Spending a month or more in different places. Hows the English/Language barrier in the towns/cities you lived? Pretty easy to get by in any of the major cities. Many young people speak at least some English. If you go to smaller/non-touristy cities it helps to at least have some basic Vietnamese, though. Moving to Hanoi next week. Which health insurer did you use? I enjoyed reading your blog, and learned a lot. Do you have more posts about living in Hanoi and advice you have shared or can share with foreigners/expats moving there? I’m moving with my wife around Jun 2018 and would love to learn more so that I can not make the rookie mistakes of most expats when moving to a foreign country. I am currently in Hanoi right now. My plan is to go to school and learn Vietnamese in VNU. I need to find an apartment. I am thinking in the Bach Khoa district. Is it an OK area? I hope you get this! Thanks so much for this post – really useful. We’re both English teachers and have taught in China for a year and a half, do you know much about the availability of teaching jobs in Hanoi? Also, we’d much rather live in less touristy, more peaceful regions. Amy recommendations? Hey Millie, I don’t really know anything about the teaching world. I think Yen Phu village is the best place to live in Hanoi though. Centrally located but super quiet and peaceful still. Colin, incredibly helpful. Going to Hanoi only for two weeks an am wondering the best way to get a hold of some whey protein. Hey, check out Gymstore or Wheystore. Both speak English and are solid. Going to Hanoi (then Cat ba) in April for 2 weeks only but would like to buy a sim card in order to be online 24/7. Can you recommend any providers ? Very important for me that it’s also work good not only in Hanoi, but also on cat ba island . After Vietnam we fly to SiemReap – maybe there is possibility to buy a simCard which will work in both countries ?.. I’m not sure what’s the best for cell service on Cat Ba as I’ve never been there with a cell phone. I imagine Viettel would be good, though. They usually have the broadest coverage imo. It was very useful info. I am married and have 2 Kids who are 9 years old. I do want to move out USA for 3 to 5 years so that my kids can experience different culture and moreover I will close to India since I am basically from India and settled in America. I do have some questions don’t know you will be able to answer but giving a shot..
How are schools up there, how much for good school per year? I have travelled all over Vietnam around 4 years ago, a beautiful place I am keen to move to. You probably *need* $1200-1500. But I would definitely ask for more than that, especially for that position. Hi Colin – I just can’t across this blog and it is sooooo helpful!! I feel like I am going in blind, so this helped me get a perspective on things. I wonder if you can help me out with a few questions? I’ve just been offered a job in Hanoi, the pay is 1,800usd per month. This would be nearly unliveable where I am, but I’m told in Vietnam it’s quite good? 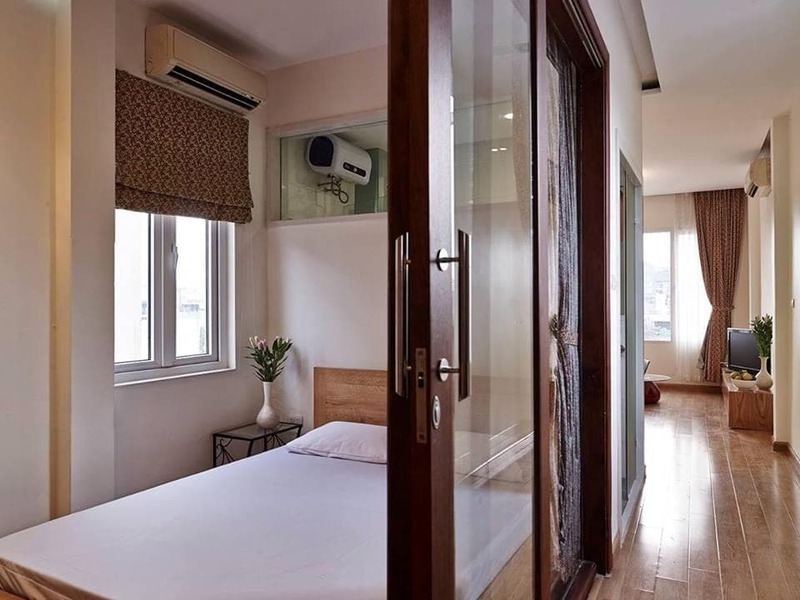 I wanted to know what the apartments in the outskirts of Hanoi are priced like, and if it’s convenient to get into the centre? This probably sounds crazy but I’m a crazy cat woman and if I take the offer I’m gonna be taking my two cats!! I’ve heard that outside space is possible in Hanoi but that I’ll have to go to the outskirts? Do you have any idea what sort of prices these will be an where I could go? There’s another separate question I’m wondering about…but I realise you might not be able to answer. I am British, my boyfriend is Filipino. My visa will be sponsored, but we are wondering about his options and what sort of work might be available to him? We will marry soon but I think we’ll be in Vietnam before that! Hey, I plan to teach in Vietnam in the coming months and want to do so in Hanoi. I was wondering if you have any experience with bringing animals from home? are the apartments like the ones in the states.. meaning not all apartments will allow pets? I probably phrases that really poorly but you get it (I hope). It definitely depends on the landlord. Make sure you ask them before you sign the lease and get it in writing. I don’t think you want a retail job – it’s very low. Like less than a dollar an hour probably. IT Engineer can be $2k+ per month depending on seniority and what you do. could I please ask you how much you pay for the insurance for your bike? I was wondering if getting a bike or a car. Do you know to tell me the insurance cost for both. It’s pretty dang cheap for a bike – not sure of the exact price, though. No idea about a car. Thank you for writing this article, it’s been very helpful! Which website did you use to find your apartment? I actually love the ones you picked, is there a way for you to put me in touch with the landlord or company for these specific ones? I will be in Hanoi for 6 months starting in October, if you are around, happy to meet! I found it through Facebook groups. 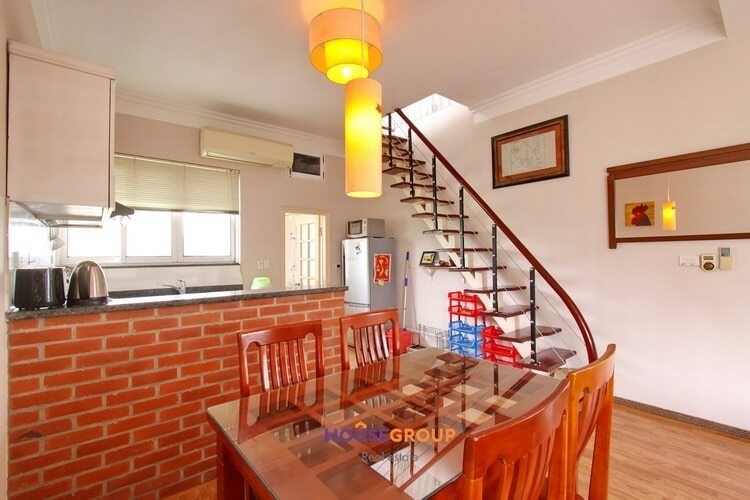 If you search for “Hanoi Apartments” on Facebook you should be able to find plenty of groups with lots of available apartments.